New figures reveal 7,700 activities took place for this year's event – six times the number seen six years ago. 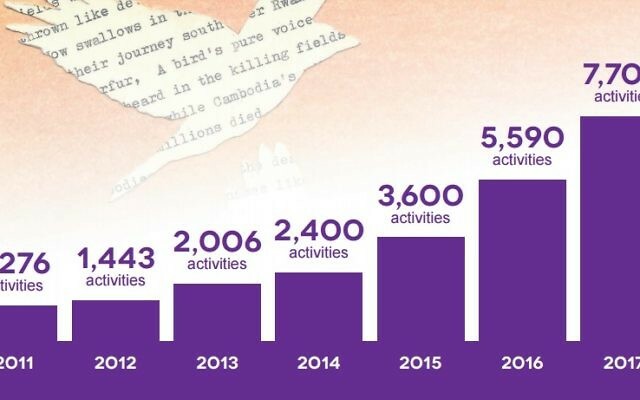 Holocaust educators say 2017 saw an “astonishing increase” in the number of local activities around the country as part of Holocaust Memorial Day in January. The trust charged with overseeing event said this week that more than 7,700 activities were recorded on 27 January, up from 5,590 last year and 2,000 in 2013. 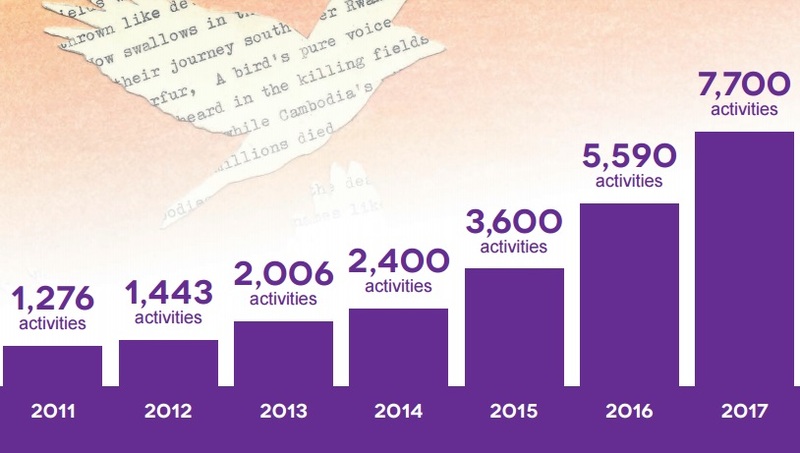 Across the UK tens of thousands learned about the horrors of the Holocaust and other genocides in places like Cambodia, Rwanda, Bosnia and Darfur, with this year’s theme focusing on how survivors rebuild their lives. Organisers say events took place in prisons, schools, museums, galleries, libraries and workplaces, with faith groups coming together to share their experiences and thoughts.